Accounting and financial management is based on the processing and analysis of various documents from a range of sources. However, in SMEs, these documents tend to accumulate, get lost or fall behind in their processing. There is a real need to organize the flow and monitoring of these documents for optimized, efficient and relevant accounting management. In companies and SMEs, various documents are sent in a variety of formats, to different people involved in their management and processing. This influx of documents of all kinds, from multiple sources, complicates their processing and use. A single document in circulation can be modified by several people within the same SME. Thus, several versions of the same document may exist, complicating access to unique, true and verified information. In addition, there are companies with multiple sites or major stakeholders located outside of the offices. In this context, the fluid and secure transmission of documents becomes even more problematic. n the age of the paperless office, the use of folders, photocopies and paper is no longer relevant. Making data transmission, control and access to different documents more fluid, for an overall improved accounting management process, has become a major issue for SMEs. Today, our accounting software is designed to provide answers and solutions to all of these issues of centralized activity, guaranteeing the financial sustainability of companies and SMEs. This software is thus equipped with a module to improve Workflow Management, or the transmission and flow of documents, regardless of their origin, nature or purpose. 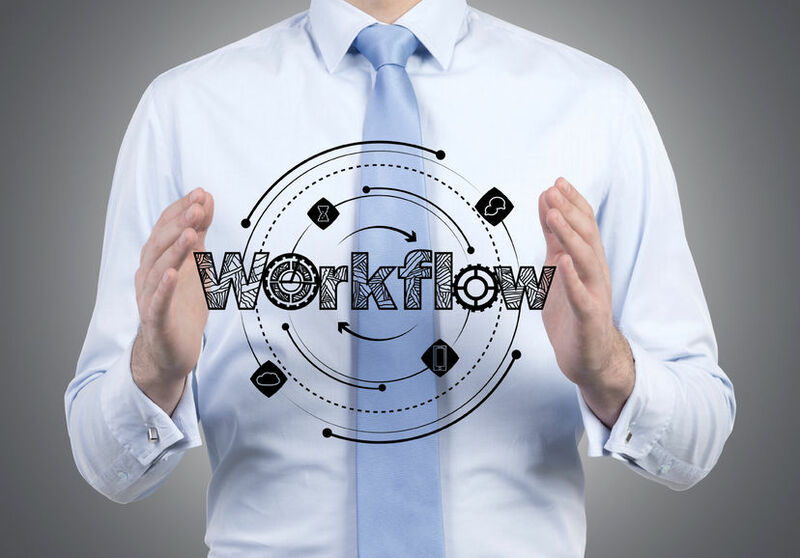 Specifically, the Workflow Management module allows you to stop the loss of documents and the accumulation of paper documents that pile up on desks. But it also allows for better organization, saving time without forgetting that the digitization of documents which allows everybody to access the same data, also helps to promote sustainable development within the SME and to highlight its social and environmental commitment.